Mathematics Stages 1-3: Whole Numbers, Addition and Subtraction, Multiplication and Division, Fractions, Decimals and Percentages. Problem Solving. Creative Arts: Music. Evoking a passion for mathematics. Come on a musical journey into the fascinating world of numbers with Mathy Matt and his digital assistant, Tekno the computer. Mathy Matt has two passions, Maths (obviously) and Music: Techno-house music. Matt’s enthusiasm for maths and music is matched by his friend and personal assistant Tekno. With funky techno rhythms, catchy lyrics and fun musical games, these two use music to reinforce key concepts about Fractions, Positive and Negative numbers, what is Zero and Place Value. With awesome beats and educational lyrics these songs are designed to have their mathematical principles remembered by all the students, long after the performance. Matt and Tekno also have some cool maths tricks and problems for students to take home and try out on their parents. 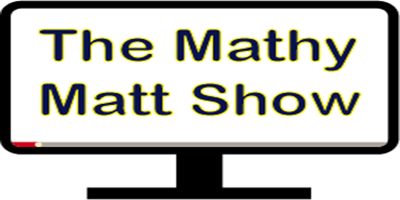 Exciting games, lots of skills, and a great mix of live and pre-recorded music all add up to make The Mathy Matt Show a whole bunch of educational and entertaining fun! Kids were very impressed with electronic music and were happy to think about maths. Rob Dorber. 2-6. Sale Primary School. VIC. Feb 2018. Great ideas. Movement and student participation. Good idea to have one teacher to pick students. A lot of work Scott. Much appreciated. Scott is just so passionate and enthusiastic and had great patience. * Optional modules, time permitting or by arrangement. Each module has an interactive element incorporated into the narrative. Price:$5.50 per student ($5.00 + $0.50 GST). Times: Show: 50 minutes. Set up: 40 minutes. Pack up: 30 minutes. Requires an indoor performing area 4m deep x 6m wide.